Makeup and Beauty Treasure: Happy Holi! 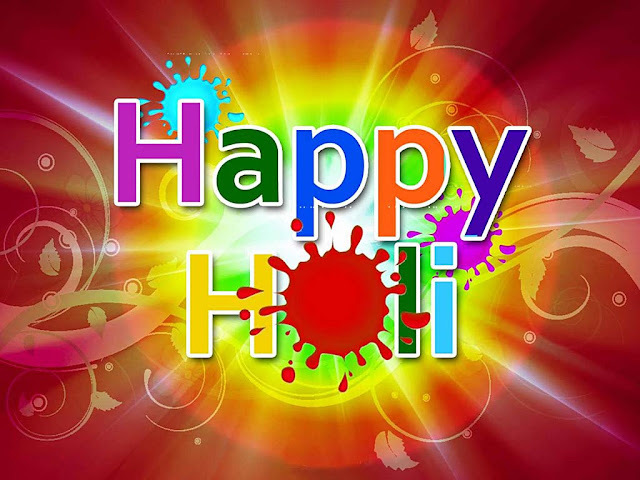 Holi is a festival of colors. The main elements of the perfect holi are bright colors, yummy gujiyas (ok I am not that fond of gujiyas! ), water balloons, pichkaris and water guns. I used to play the whole day with colors as a child but now when I am a grown up kid ;) I stay away from colors (I hate painted faces!). Beware of the harsh chemicals used in colors but you can always play safe with natural colors made from flowers and herbs. How are you celebrating Holi this year? Share in the comments section below! Wish u the same Shikha. Happy Holi to u too. Sure will chk out. Thnk u. Happy Vishal :) Happy Holi! Yeah I did lots of fun with my frnds! Belated Holi Wishes Megha :) Love ur blog! Wish u the same Egle!